Allen Renquist and Matt Anlyan spent their careers working as international humanitarians before embarking on owning and operating their own business. The two talked about becoming entrepreneurs for 5 or more years before they began to give the idea serious consideration. Early on it was decided they would purchase an existing business as the foundation for their entrepreneurial foray. The partners began gathering information on business planning, preparing a loan proposal, learning about the types of loans available, businesses for sale, and they spoke to lenders and SBA representatives. It was during such a discussion that the partners learned about their local Small Business Center. Allen and Matt quickly began to work with the business counselor on the financial structure of the plan. Their SBC counselor provided the partners with a financial template and guided them through the steps of building the financial forecast. “He trained us on how to calculate the cost of goods sold and catered the template to meet our needs,” Allen stated. “It was the missing piece of the plan that allowed us to produce the cash flow statements, income statements, and balance sheets for the first 3 years of operation. As a result, we developed a rock solid business plan with rock solid financials.” Allen and Matt were then able to fully demonstrate the financial picture of the business, as well as the future earning potential, and communicate the structure of the financing plan to the lenders. The plan was presented to 4 banks, and all 4 banks approved the loan proposal. The partners selected the bank that could complete the SBA Guarantee loan process in-house to expedite the process. Within 3 ½ weeks of meeting with the bank, Allen and Matt closed on the purchase of the Donut Inn on December 22nd. Yes, Virginia! There really is a Santa Claus if you believe ~ and work hard to achieve your dreams! Allen and Matt opened the doors of their business on Christmas day. The Donut Inn created 7 new jobs and retained 7 existing jobs. 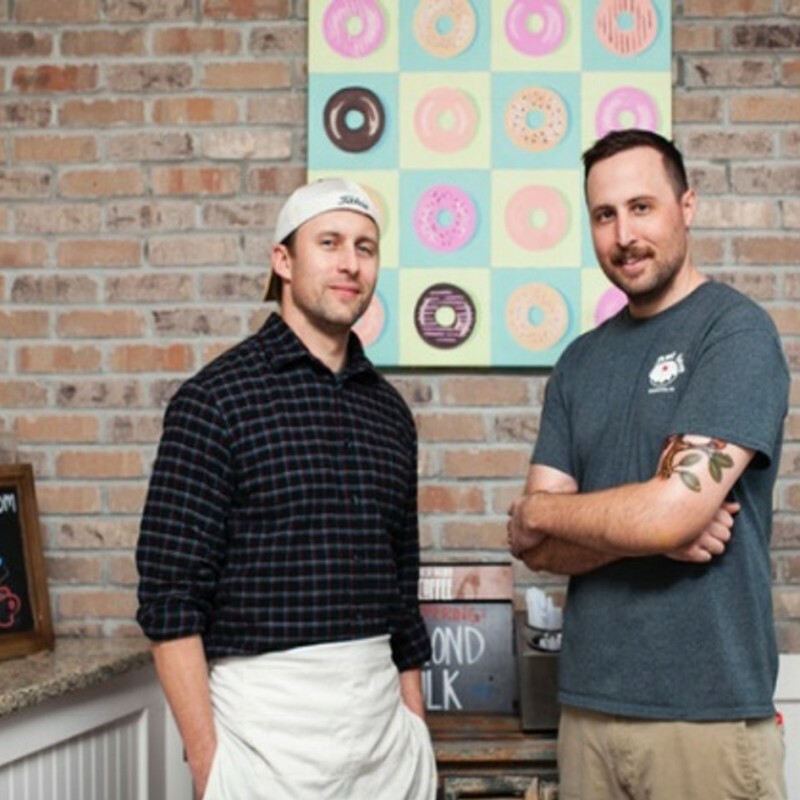 Allen and Matt remain true to their roots and humanitarian backgrounds by donating all of the end-of-day donuts and baked goods to non-profit organizations that serve the community. They had donated 600 dozen donuts and/or bagels to the local community within a mere 4 months of being open. They plan to crush their goal to donate 1,000 dozen.